Whenever I use another designer’s square I will ALWAYS follow copyright rules and intellectual property requirements. Since this square was originally part of the Block A Week CAL in 2014, it is copyrighted to it’s original designer! 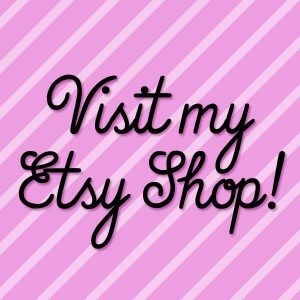 I am using this project in part to try new things and introduce you all to new designers! I want to make sure everyone is properly credited and attributed for any work they have done! I will share my step by step photos for this pattern, but I am not able to share each step of the pattern. Please click the link to see the pattern! 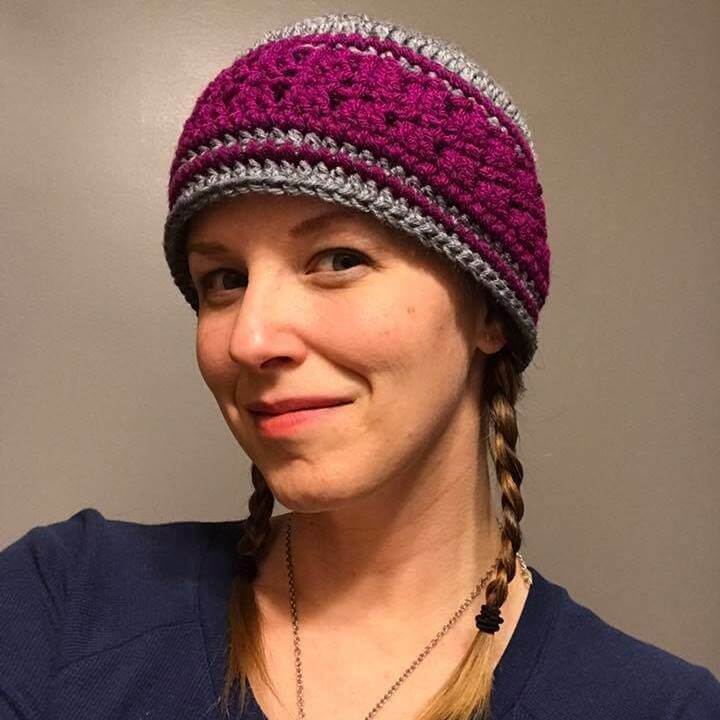 You can also download the pattern on Ravelry for easy access! 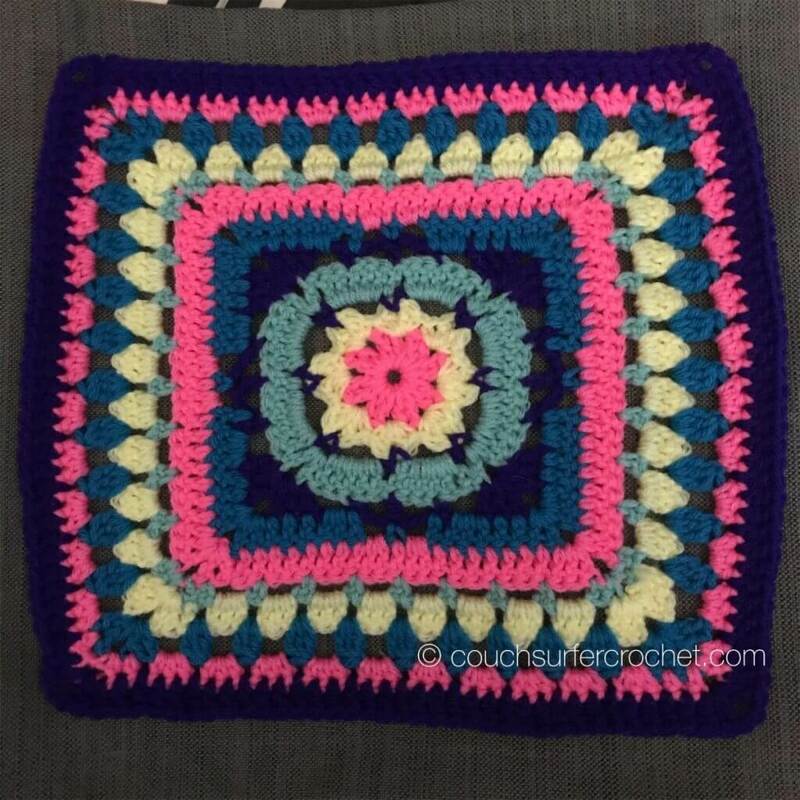 You can also see lots of color combinations on the Ravelry page by other members that have created this square. The original design was done all in one color and it stunning. I personally like to make my squares super colorful, but part of the fun of a project like this is making each square however you want to! 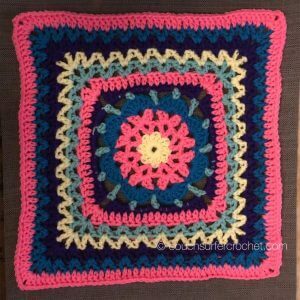 Welcome to Week 3 of the Hip to be Square Crochet Along! This week we are taking it back to the old school! 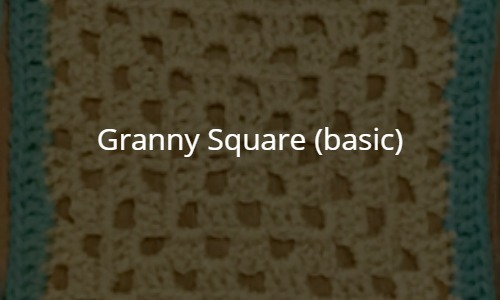 We will be making the traditional granny square. Of course I can’t take credit for this pattern! You can search online and find a hundred different variations of this basic square. I have given you all a step by step tutorial for this basic square. Here we will be making 6 “rounds” with the granny square pattern, with one round of double crochet around the edges. We will be making 8 squares this week! 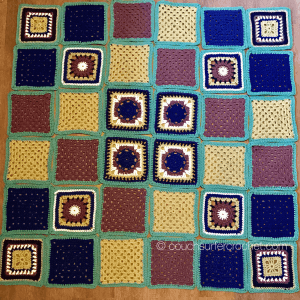 If you haven’t joined us in the Couch Surfer Crocheters Facebook group then you might have missed the photo I shared with all my squares laid out ready to join. Well…here it is! 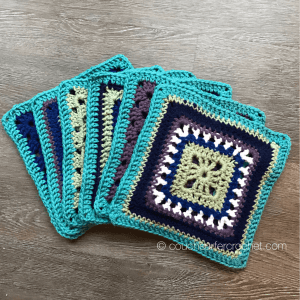 Hello and welcome to the first Week of the Hip to be Square Crochet Along! I am so excited to share this project with all of you. I hope you enjoy making this blanket! 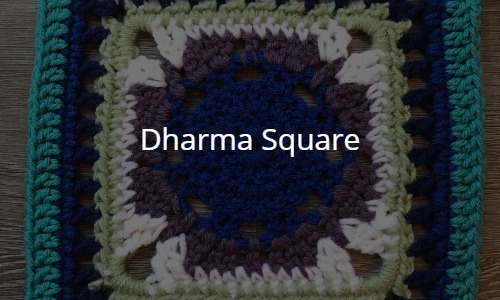 Not too long ago I shared the pattern for a crocheted square I had created. 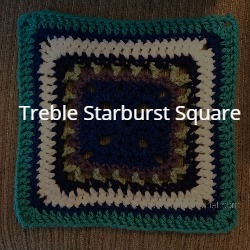 I called it the Treble Starburst Square because of the shape in the center. I knew I wanted to create something using that square but at the time could not decide what in the world that might be. I set it aside for a little while so I could finish a few customer orders, and one day the idea came to me! I knew it would be a great accent in a blanket made with a few different types of squares.